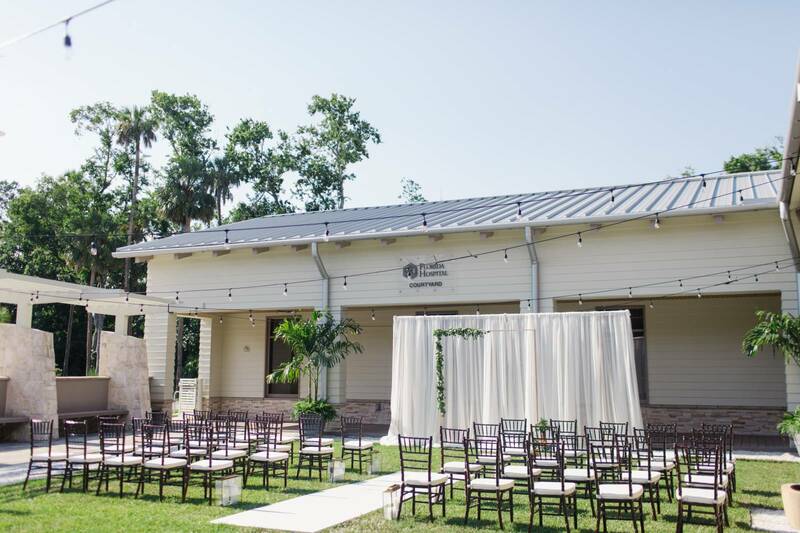 Daytona Beach's Cici and Hyatt Brown Museum of Art houses the largest collection of Florida-themed oil and watercolor paintings in the world. 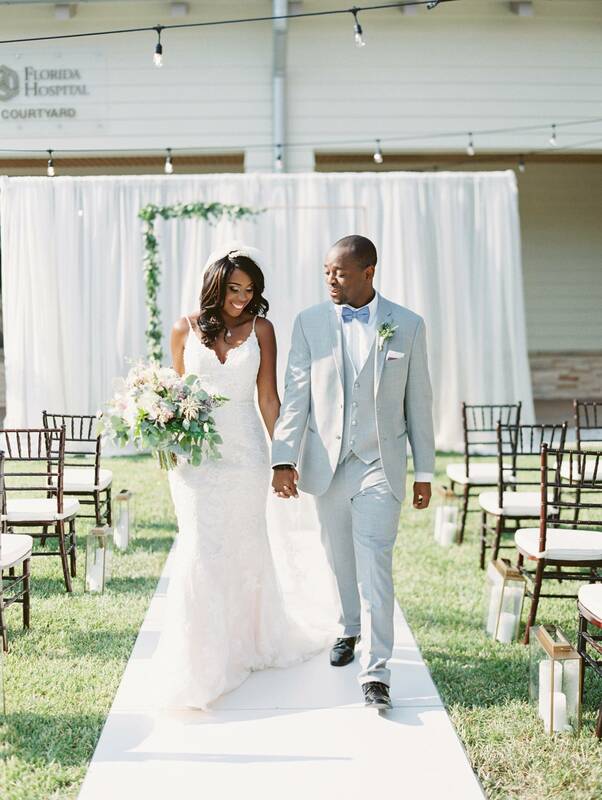 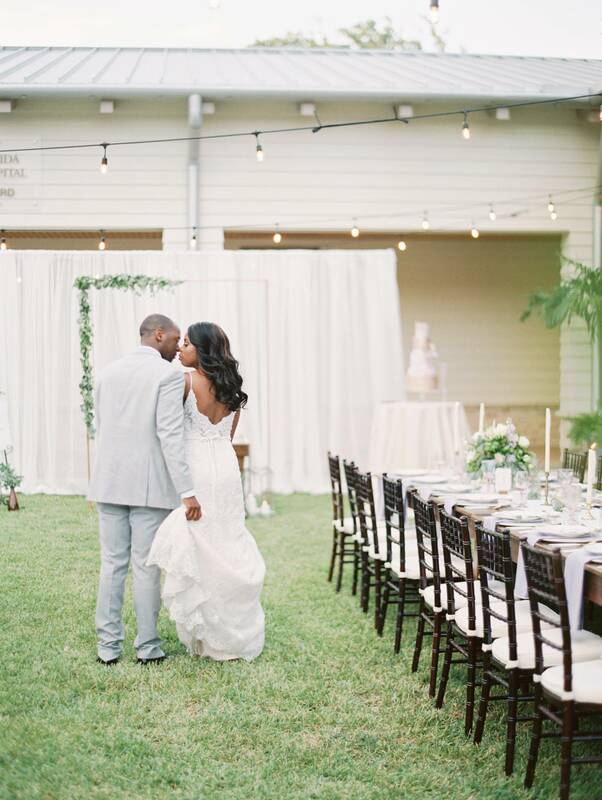 Naturally, it's a great spot to create a little wedding inspiration! 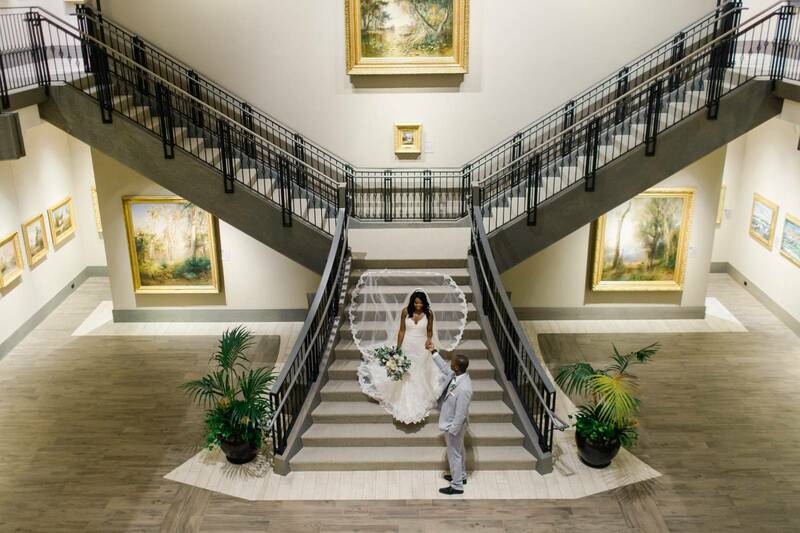 "The goal of the styled shoot was to extend the beauty of the museum’s gorgeous interior artwork and architectural design, with the natural backdrop of the sunny outdoors," says Tori Carta, Rentals Manager at the museum. 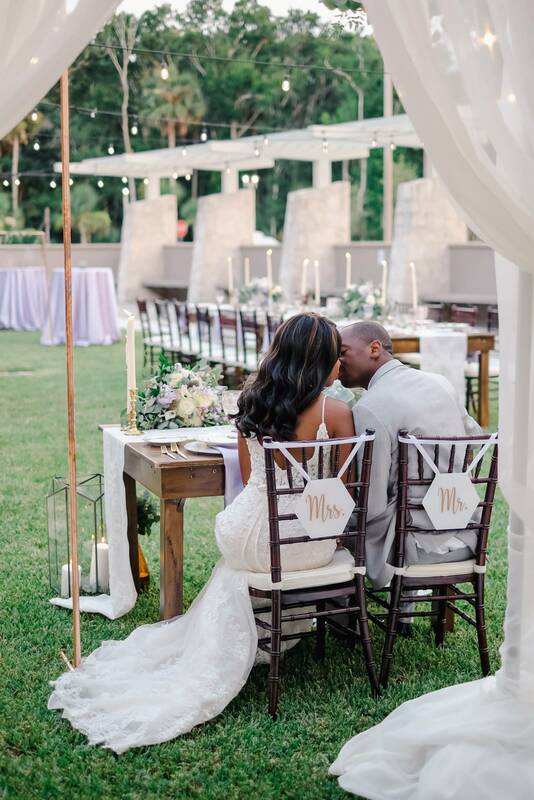 This talented vendor team definitely succeeded! 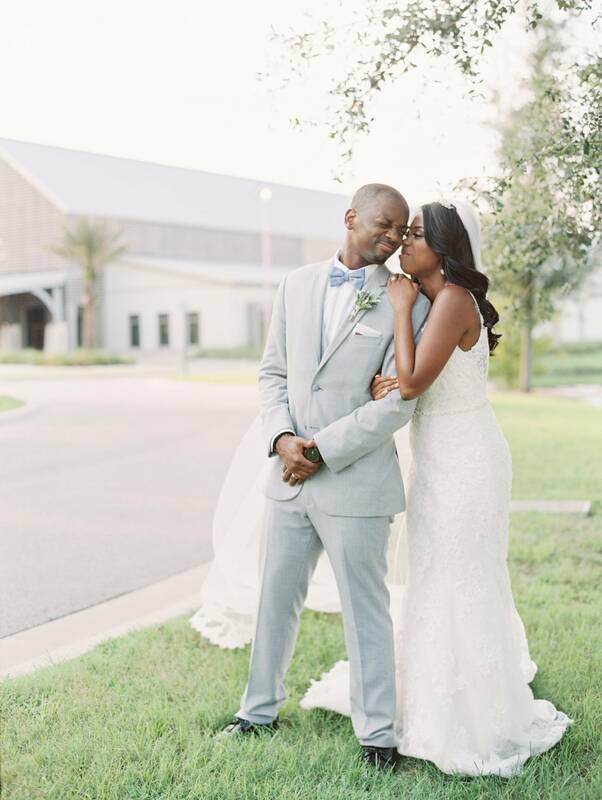 The shoot showcased a few favorite trends like geometric shapes, mixed metals, and this year's Pantone Color of the Year, Ultraviolet. 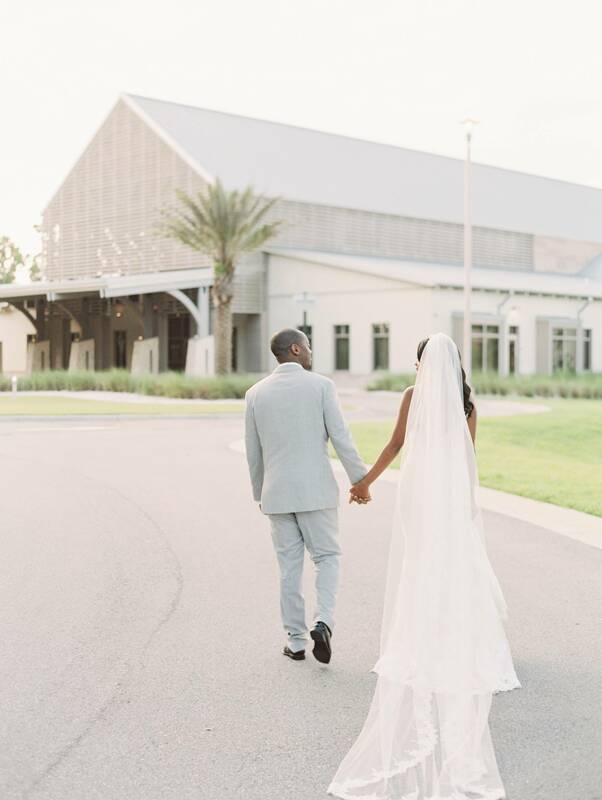 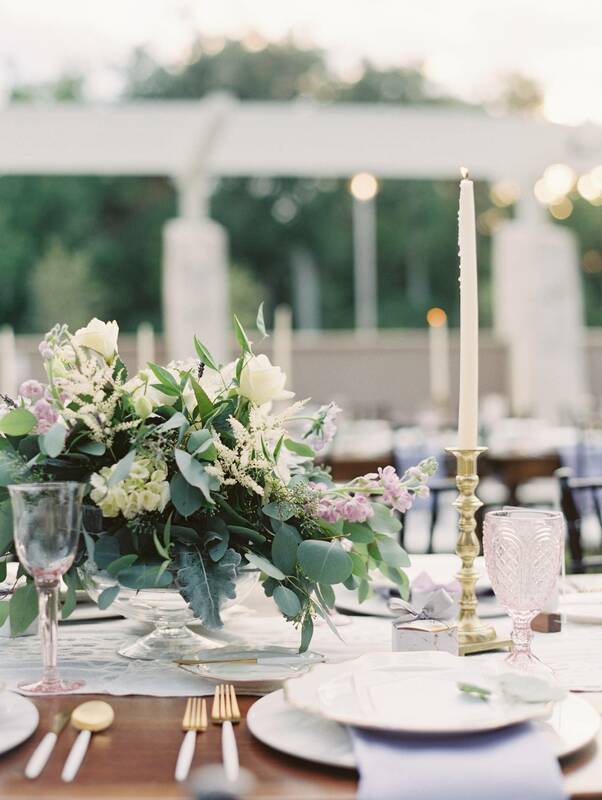 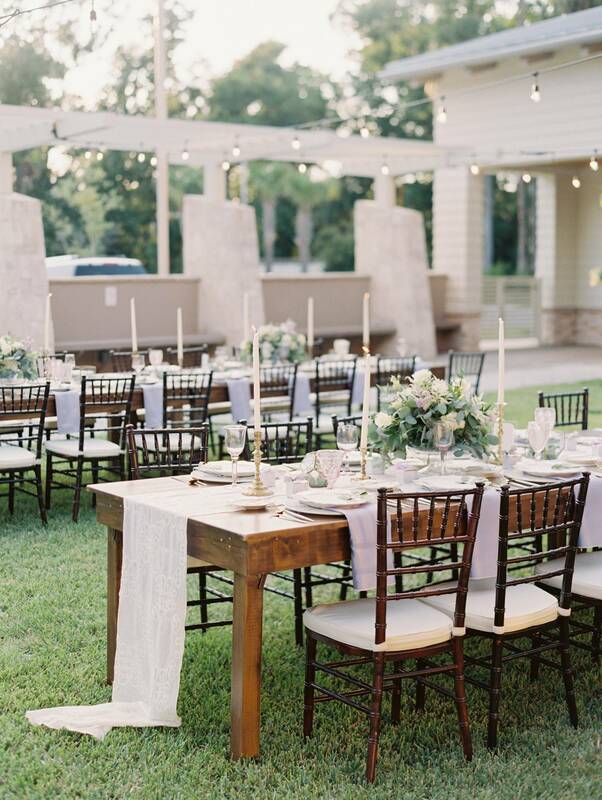 The outdoor ceremony, cocktail hour, and reception set ups took advantage of Florida's beautiful natural light, and floral bouquets burst with creams, greens, and pastel purples. 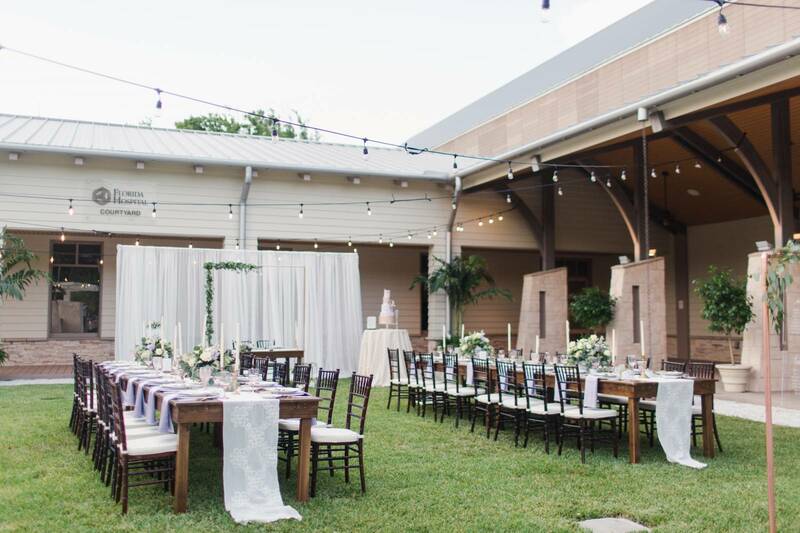 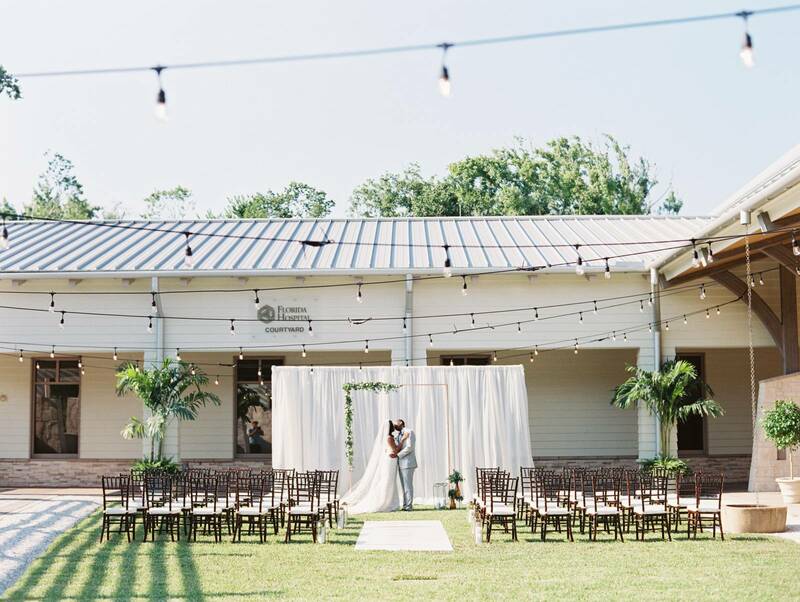 Market lights strung above wooden farm tables created a romantic atmosphere for the reception. 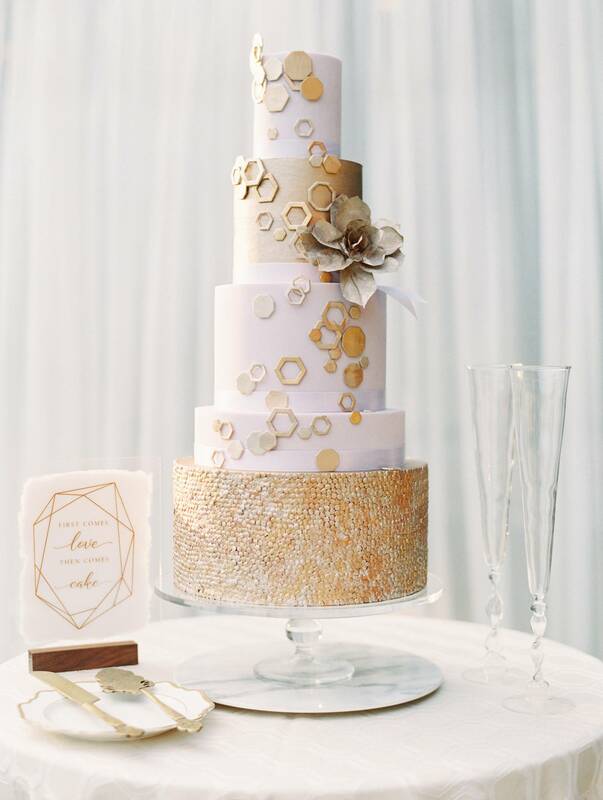 Standing tall with 5 tiers, a white and gold cake covered in geometric design looked tempting. 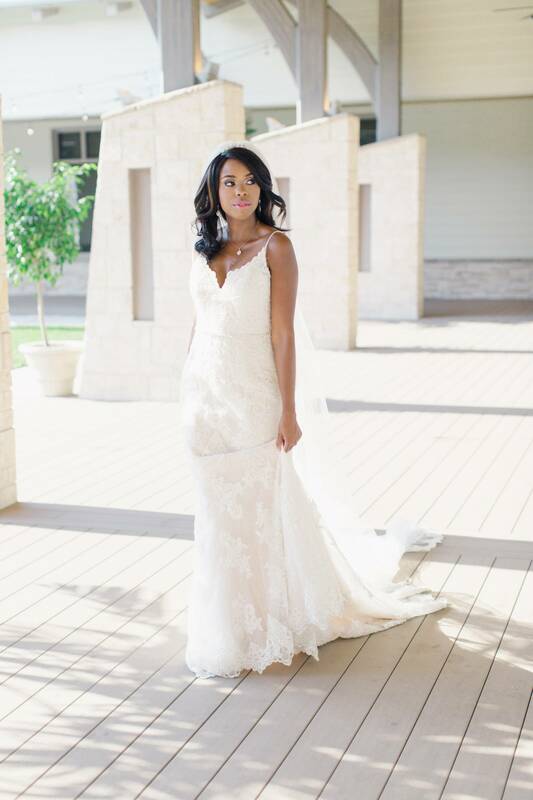 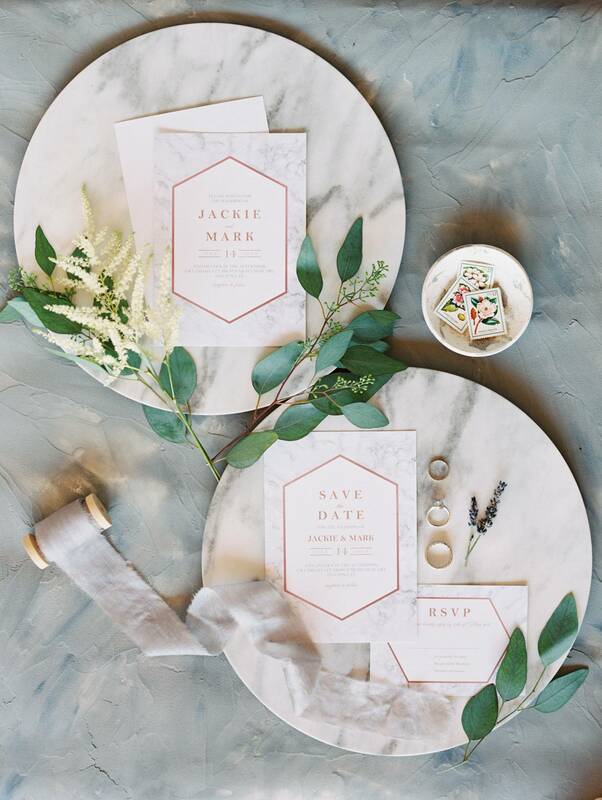 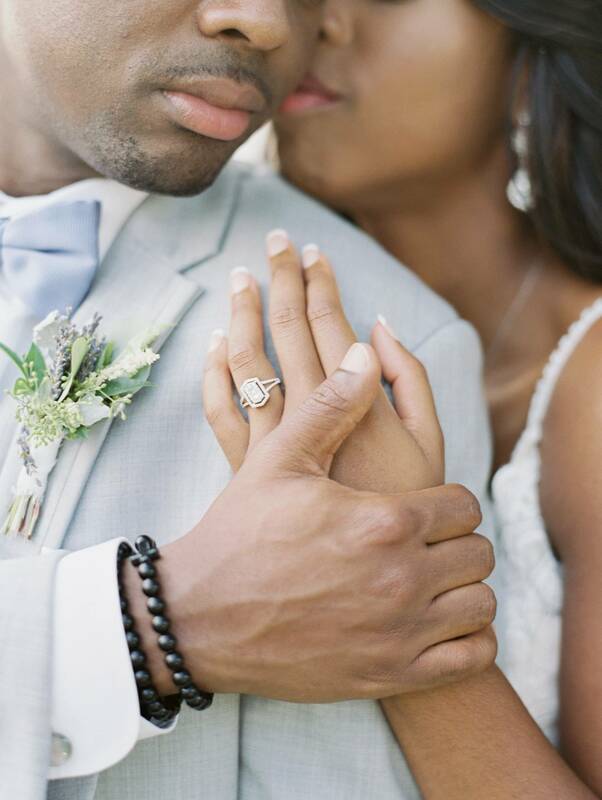 Check out all pretty details from the styled shoot below! 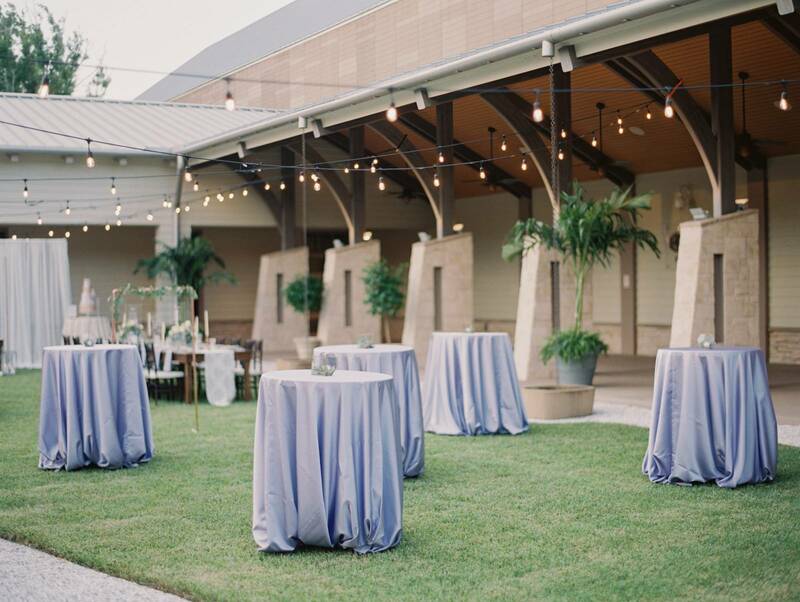 Venue Cici and Hyatt Brown Museum of Art/ Wedding Planner Cherry Blossom Events/ Photographer KT Crabb Photography/ Videographer Tighe O'Conner/ Florist Simply Roses/ Cake The Pastry Studio/ Furniture Rental Special Event Services/ Wedding Rental Orlando Wedding and Party Rentals/ Rentals Treasury Rentals/ Signage Chic Signs/ Dress Lola Grace Bridal/ Tuxedo and Mens Attire Mens Wearhouse/ Makeup Hairstyles & Makeup by Jackie/ Models Rebecca and Justin Lang/ Jeweler Tom Cook Jeweler/ Plants Advantage Plant Design/ Linens GBS Linens.